Pride & Prejudice. The Text Guide. In very good condition. The Oxford Guide to English Usage. Publisher:Oxford University Press. Book Binding:Hardback. Each month we recycle over 2.3 million books, saving over 12,500 tonnes of books a year from going straight into landfill sites. TITLE:The Oxford Guide to English Usage (Oxford reference). PUBLISHER:Oxford University Press. Covers may vary and all of our books are second hand unless otherwise stated. ACCEPTABLE - May have major wear and tear. 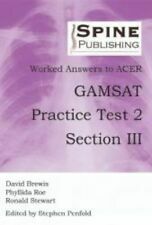 Practice Test and Practice Test 2 are each full size papers, but do not include worked answers. Cambridge English in Mind Workbook starter. Author:Cutts, Martin. Oxford Guide to Plain English. Publisher:Oxford University Press. Book Binding:Paperback. Each month we recycle over 2.3 million books, saving over 12,500 tonnes of books a year from going straight into landfill sites. Author:Mary Bowen. Publisher:Macmillan Education. 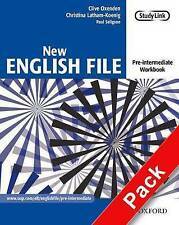 English World 2: Work Book. Each month we recycle over 2.3 million books, saving over 12,500 tonnes of books a year from going straight into landfill sites. Author:Mary Bowen. Publisher:Macmillan Education. English World 4: Work Book. Each month we recycle over 2.3 million books, saving over 12,500 tonnes of books a year from going straight into landfill sites. It is written by Cynthia Cooksey. It contains lots of useful information about Abbeys and also what to do when you get to the site to make it a good learning experience for children. USING ABBEYS BOOK. Author:Ronald V. White. The English Teacher's Handbook: A Short Guide to English Language Teaching. We appreciate the impact a good book can have. We all like the idea of saving a bit of cash, so when we found out how many good quality used books are out there - we just had to let you know! GCSE English Text Guide - for Dr Jekyll and Mr Hyde. For all GCSE ourses including new exams from 2017. Author CGP Books. PublisherCoordination Group Publications Ltd (CGP). 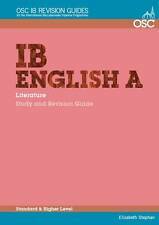 This book contains everything you need to write better A-Level and Undergraduate English essays on William Shakespeare's 'Hamlet', all presented in a helpful and entertaining way to make study and revision easier. 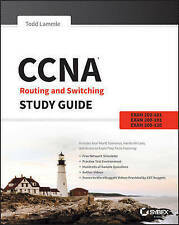 There are clear notes on the characters, themes, language techniques and critical context, plus practice questions to make sure you understand the main points. There's also a section dedicated to writing about 'Hamlet' to help you improve your grades. The Color Purple - for GCSE Literature Guide. 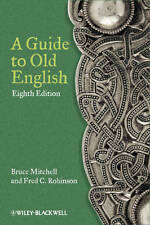 Write in style: A Guide to Good English (Routledge Study Guides). Each month we recycle over 2.3 million books, saving over 12,500 tonnes of books a year from going straight into landfill sites. All of our paper waste is recycled and turned into corrugated cardboard. New Interchange 1 Lab guide: English for International Communication (New Interchange English for International Communication). Title : New Interchange 1 Lab guide: English for International Communication (New Interchange English for International Communication). Intercession Seminar, Level 2: Student's Guide. Title : Intercession Seminar, Level 2: Student's Guide. Product Category : Books. Binding : Perfect Paperback. Condition : Very Good. First Edition : False. Author:Howard, Godfrey. A Guide to English in the 21st Century. Book Binding:Hardback. Each month we recycle over 2.3 million books, saving over 12,500 tonnes of books a year from going straight into landfill sites. Neither I Wish Kingdom, Nor I Wish Pleasure of Heaven. The Only thing I Wish is to Remove the Miseries of Suffering Humans.". We will be glad to help. Outer labels may change and be different to the image shown. Pre owned, very good condition,York notes for AS and A2 Frankenstein by Mary Shelley. Publisher: Cambridge English. Like New/Excellent - An apparently unread copy in perfect condition. Dust cover is intact with no nicks of tears. Spine has no signs of creasing. Pages are clean. book may caontain a remainder mark on an outside edge. BABEL GUIDE TO GERMAN FICTION IN ENGLISH: Austria, Germany, Switzerland (Babel Guides to Literature in English Translation). Each month we recycle over 2.3 million books, saving over 12,500 tonnes of books a year from going straight into landfill sites. A Guide to Good Written English, Hughes New 9781906075705 Fast Free Shipping.. Author: Vera Hughes ISBN 10: 1906075700. 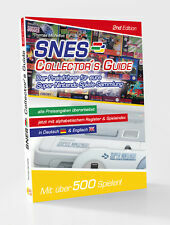 Title: A Guide to Good Written English Item Condition: New. Used-Very Good: The book will be clean without any major stains or markings, the spine will be in excellent shape with only minor creasing, no pages will be missing and the cover is likely to be very clean. Style Guide: A User's Guide to Good Written English (Economist Desk Reference Set). Author:The Economist. Book Binding:Hardback. We appreciate the impact a good book can have. We all like the idea of saving a bit of cash, so when we found out how many good quality used books are out there - we just had to let you know! Author:Bygrave, Jonathan. 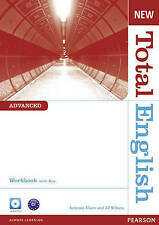 Total English Starter Workbook without Key. Book Binding:Paperback. Each month we recycle over 2.3 million books, saving over 12,500 tonnes of books a year from going straight into landfill sites. ENGLISH IN MIND Level 4 Workbook SECOND EDITION This second edition updates a course which has proven to be a perfect fit for classes the world over. Engaging content and a strong focus on grammar and vocabulary combine to make this course a hit with both teachers and students. 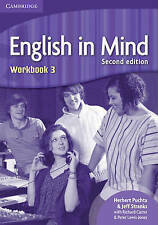 ENGLISH IN MIND Level 2 Workbook SECOND EDITION This second edition updates a course which has proven to be a perfect fit for classes the world over. Engaging content and a strong focus on grammar and vocabulary combine to make this course a hit with both teachers and students. Title: Chambers Effective English: A Guide to Good Writing Item Condition: used item in a very good condition. Publisher: Chambers ISBN 13: 9780550180438. Binding: Paperback Language: english. Will be clean, not soiled or stained. English GrammarThe Instant Guide. Title : English GrammarThe Instant Guide. Authors : Instant Guides. Product Category : Books. Binding : Paperback. Publication Date : 2011-09-08. First Edition : False. Oxford English: An International Approach: Workbook 1 by Mark SaundersTitle: Oxford English: An International Approach: Workbook 1 Format: Paperback / softback Type: BOOK Publisher: Oxford University Press UK Release Date: 20090910 Language: English. Is a lively 7-level general English course with comprehensive Cambridge English for Schools exam preparation integrated throughout. This flexible course brings together all the tools and technology you expect to get the results you need. The Babel Guide to Italian Fiction in English Translation (Babel Guides to Literature in English Translation). Each month we recycle over 2.3 million books, saving over 12,500 tonnes of books a year from going straight into landfill sites. ENGLISH IN MIND Level 1 Workbook SECOND EDITION This second edition updates a course which has proven to be a perfect fit for classes the world over. Engaging content and a strong focus on grammar and vocabulary combine to make this course a hit with both teachers and students.